Are you going to travel to China and would like to use of some tools that will make your experience easier? In a country where language is a huge barrier, it certainly doesn’t hurt to load up your smartphone with a few megabytes that will help you deal with typical situations of all types, and namely where to stay, how to get around and how to access key information. Keep in mind that not all applications that work in your country will work in China, meanwhile others will work, albeit very slowly. Because of this, in this article, I present the 10 applications that I consider to be the most useful and effective for traveling to the country. Of course there exist many more, but I will focus on those that don’t require a knowledge of Chinese to use. The Google Play Store doesn’t work in China, so to avoid complications, it’s better that you download all of the apps you think you’ll need before your trip. 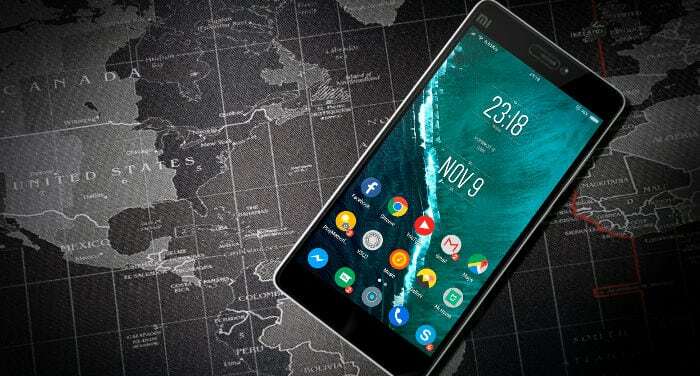 Even though before the arrival smart phones, people still traveled and could find the places that they wanted to visit, mobile map applications are undoubtedly helpful for travelers. With them, in addition to locating yourself and accessing more detailed information on the services around you, they also allow you to calculate the time and the most convenient transportation means for your routes. Unfortunately for some people, Google Maps doesn’t work in China (unless you have a VPN). Nonetheless, new versions allow you to download some city maps for offline use. However, as Google states, the bad news is that some maps aren’t available for offline use. This is the case of the key mainland Chinese cities, such as Beijing, Shanghai, Xian, Guangzhou, etc. On the other hand, you’re able to download maps of Hong Kong and Taipei, if they’re one of your destinations. But not all hope is lost. For iOS users, there’s an alternative within basic iOS applications, which is Apple’s Maps. It’s practical and works very similarly to its counterpart Google. I only find one drawback of this app for China, which is the fact that all addresses appear in English (or the language in which your smart phone is configured) and not Chinese. The good thing is that you will have no problems looking up destinations in the app, but you might have problems on the street if road signs are only in Chinese characters. There exists another possibility available for both iOS and Android, which is called Baidu Map. You could say that Baidu is the equivalent of Google in China considering that in addition to being the continent’s search engine par excellence among Chinese users, it has other functions, like the one I’m discussing here. Bad news once again: Baidu Map can only be used in Chinese. Addresses can be entered in pinyin format, but it’s essential to be able to recognize Chinese characters to be able to use it. Another app that will make things a lot easier for you during your stay in large cities is one that contains subway maps (interactive if possible). For China, I recommend “Metro China Subway, or MetroMan, by Wu Qiuping”. It covers all Chinese cities that currently have a subway (and some in South Korea, Japan, and other isolated cities, such as Moscow or Mexico City) all within the same application. Here the links for Android and iOS systems. It’s available in 8 languages in addition to Chinese, but regardless of your choice, it maintains the names of all stations in Chinese characters and pinyin. Its most noteworthy functions are calculating routes with information on prices, times, transfers, etc., the map of each station to be able choose the most appropriate exit and information on the services that you can find around stops. China Train Booking is an app that allows you to easily check trains availability and book your train ticket online. The app is owned by China Highlights, a big travel agency that has been working with foreigners visiting China since 1998, and offer a train booking ticket service since 2013. Also, the app is available for both Android and iOS devices, and has been available since 2015, with the goal to make it easier to book a train ticket, for foreigners. Customer Service: You will have access to 1-on-1 English speaking customer service, from 8 AM to 11 PM (Chinese time, GMT+8), every day of the week. Usually you will receive your tickets pickup vouchers via the app, which means that your tickets are issued successfully, around 5 minutes after you paid. Showing the e-vouchers on your phones and your passports, you can then easily collect your tickets at any train station without hassles. Also, if you prefer, the app provides a delivery service that allows you to receive the train tickets at your hotel in China, within 2 days. Click here to download the free app for your iOS or Android device. Trip is a Chinese tourism services provider which is ideal for buying and booking your plane and train tickets. It’s available in 8 languages (including Spanish) and unlike the others, accepts international credit cards (Visa, MasterCard, etcetera). You can access all of the information on domestic and international flights quickly and intuitively. At the same time, it includes the schedules, rates, and availability for train routes across the entire country. Buying both types of tickets is very simple and reliable. If you sign up beforehand, your information will be saved, which will make the buying process faster. When your payment is confirmed, you receive an email with all of the information on the trip. In the case of plane tickets, the electronic ticket will also be sent to your inbox (after the confirmation of the booking). For train tickets, you receive a single booking confirmation email and a booking number. With this number and your passport, you have to go to the train ticket pickup window at the train station (any station: it doesn’t have to be the same one you are departing from) to get the physical ticket to travel. When using Trip, you can pay in 22 different currencies. In addition, the application allows you to view all bookings, make bookings at hotels or for tourist packages (lodging + transportation) or to check the status of your flight. This Chinese tourism company is also trying to become the hotel search engine of choice in Asia, although for the time being, it doesn’t benefit from the popularity of its competition in this sector, which I will present below. Even so, it’s very practical if you prefer to book transportation and lodging at the same time. As I’ve already said, not all applications that you might be accustomed to using work in China. If you’re one of those people that can’t go one day without the latest tweets, uploading the selfie that you just took on the Great Wall or checking the news of your favorite international newspaper, it’s best that you get a VPN (Virtual Private Network). In this article, you’ll find detailed information on what a VPN is and how it’s used as well a comparison of the best VPNs for China. It also discusses the websites that generally tend to be blocked in the Asian country. VPNs allow short subscription times (starting with one month), so they’re very suited to travelers. In addition, once you get one, you’ll be able to download it onto multiple devices and use it on all of them (there’s a limit in the users connected at the same time with the same password), which means that if you’re traveling as a couple or with friends, you’ll be able to share costs. Note that at the moment we especially recommend Express VPN. These three search engines for hotels, hostels and other types of lodging are the most popular among travelers in Asia. Despite the fact that Booking and Hostelworld are also good options, Agoda is without a doubt the one with the most variety of lodging and promotions in the Asian giant. In my case, I’ve had good experiences with the three of them, so choosing one or the other will depend on your criteria. The information on lodging that they provide, the booking process and the payment methods don’t differ very much from one to the other. What sets them apart is the volume of the offering and the prices of rooms. On the other hand, they are all available in multiple languages and accept international credit cards. It’s very useful to download their mobile apps onto your smartphone, because these speed up the booking process compared to on the websites. In addition, it will store your booking information as well as the location of the establishment in Chinese. Thanks to the fact that this information is available offline, all you have to do is show your cell phone to the taxi driver or at the hotel reception. In China, taking a taxi is not an easy undertaking. In addition, ever since the giant Chinese multinational Didi Chuxing obtained a monopoly over taxi transportation services in the Asian giant, conventional taxis outside of the platform have been reduced considerably. Because of this, it’s interesting to have this application during your travels through the Middle Kingdom. With Didi Chuxing, you can request a driver to come pick you up at your location or the place you indicate. The vehicle can be a public taxi, a private vehicle, a shared vehicle or other options, each with a different price estimated beforehand. This amount is calculated based on the type of vehicle and destination address that you manually input into the application. Once you accept the price, the driver picks you up and takes you to the destination indicated with no need for oral communication. The payment method is integrated into the application. Up until now and since summer 2016 (the date when Didi Chuxing bought Uber in China), tourists and the expat community in China who can’t read or write Chinese were required to go through the tedious task of flagging down taxis on the street. However, to the joy of all, the Chinese company has just announced the launch of its application in English, which also plans to allow credit cards from 12 countries as a payment method (although for the time being, no Spanish-speaking countries appear on the list). It seems like it’s just a matter of time, although at the time of the writing of this article, the long-awaited English version of Didi Chuxing has not yet become reality. On the other hand, for the time being, only iOS users have direct access to the application via the Apple Store (if you’re an Android user, you still need to understand Chinese to download it from the virtual labyrinth of websites written in characters). Don’t hesitate to get a hold of a good Chinese dictionary for your trip. I’m sure that on the way, you’re going to need it. To avoid getting lost in the ocean of apps with this purpose, below I give a summary of the most appropriate apps for your trip. Pleco is one of the most popular Chinese-English-Chinese dictionaries. It lets you look up words in both languages and in the case of Chinese, you can input the word in pinyin format (phonetic transcription of characters into Latin) or by manually drawing the character strokes (only for Android devices, but iOS devices have this function integrated into the telephone’s Chinese keyboard). The first immediately translates any text that you copy onto the clipboard. Nonetheless, the free version only offers the translation of isolated characters. This means that if you’re trying to find out what a phrase or paragraph means, you’ll have to be imaginative. The second allows you to recognize Chinese characters through your smartphone’s camera. This is a paid service (9.99 USD), but it might be a good investment if you don’t know any Chinese, as writing characters by hand isn’t easy if you’re not familiar with the order of strokes. Hanping is another one of the most-downloaded dictionaries. Nonetheless, it’s not available for iOS users. Just like Pleco, it allows you to enter characters manually or in pinyin, translates phrases copied onto the clipboard (better than Pleco in my opinion) and has a visual character recognition system if you pay for it (9.95 USD). The difference between both dictionaries is most prominent among students of Chinese, who find the functions of one or the other to be better depending on their study method. For the rest of people, both have 110,000 entries and are equally easy to use. While it’s not a dictionary in itself, we can’t neglect this tool from Google. While it’s true that many of the American platform’s services aren’t available for users connecting from China, Google Translate is an exception. You might ask why you would need to download this app if you download one of the dictionaries mentioned above. I’ll give you two reasons: the first is because it’s the only application that allows you to translate large phrases and paragraphs both ways (into and from Chinese) while maintaining a certain degree of coherency. For the type of translations that you’ll need during your trip, it’s more than enough and will let you move beyond 你好 Ni hao! (Hi!) in your conversations. The second reason is because it offers a large number of language packages, and not only English or Spanish (for example, Catalan or Basque, which are official languages in Spain). On top of that, you can download the majority of these packages and use the application offline, which is a huge advantage for travelers. While it might not seem like an essential application for traveling to China, it’s true that some of its functions are very useful. Of course its main use is as the most-used voice and messaging communication means in the Asian giant, with an annual average of 768 million users connected every day. Some people say that WeChat is the Chinese equivalent of WhatsApp. Even so, the former has infinitely more uses than the latter. In fact, WeChat is used more as a social network than as a messaging service, as each account is associated with a profile where you can post photos, videos, share links, etc. which your contacts can access (if you have it configured that way). But that’s not all: if you’re not interested in the likely routines of traveling, the application also allows you to link your credit card (it has to be Chinese) and to then make payments and money transfers immediately, whether at a small store, to a friend, in the subway, to buy movie tickets, to automate the balance of personal taxes and much more. With all of these uses for consumers, it’s no wonder that more than half the population has an active WeChat account. Among Chinese people, it’s really common to ask for people’s WeChat contact info, as it’s a way of prying into the personal life of others and at the same time expands your personal network of contacts, which is so important in oriental society. So, you shouldn’t be surprised if even before asking your name, people ask to scan your personal QR code that will let them send you a friend request (you can accept or reject). Personally, I think this is a really interesting way of establishing contacts in China who can be very helpful during your stay. WeChat is available in 20 languages in addition to Chinese and is capable of translating text messages received in any of these languages into the language you have configured in your profile. Therefore, it’s a huge advantage to travelers in China, as not only does it facilitate a means of communication with people but also helps to reduce the language barrier. When it comes to looking up information online, the devout followers of St. Google who are traveling through Chinese lands (I admit, I’m also one) will find that their prayers fall on deaf ears when asking for 5 million results in 0.36 seconds. The most used online search engine in the Asian giant is called Baidu. Like Google, it has many other functions, although these aren’t too interesting for travelers. While it’s really useful for looking up information or webpages in Chinese, it isn’t very useful for other languages, and not even English. As always, there’s an alternative: Microsoft’s Bing. Bing carries out searches very similar to Google. You can put your search keywords in whatever language you want and it works perfectly in the Asian country. Bing has a mobile app (for iOS and Android) that is used as a web content search engine as well as a browser in itself. This way, you can open the webpage that you choose in the same application or redirect it to your preferred browser. Long trips by train, the lineups at certain tourist attractions or returning to your hotel to relax for a while are all good times to reward your ears with your favorite tunes. Given that platforms such as Spotify and YouTube aren’t available in China, if you want direct access to your favorite music, you’re going to need to plan ahead. One option is to save all of your playlists in your phone’s memory. The other is to download a Chinese music player. The two most popular ones are Kugou Music and QQ Music. You’ll be surprised by their quantity and diversity of songs from across the globe. While they’re only available in Chinese, both are very intuitive and have similar functions, so choosing one or the other doesn’t make a big difference. These apps allow you to access a limitless supply of songs, videos, radio channels or music programs via streaming. On top of that, you can create playlists and if you download the songs, you can listen to them whenever you want without needing to be connected to the Internet. These are also a good way of familiarizing yourself with the panorama of Chinese music. Also, if you’re a karaoke fan, you’re in luck, as the majority of songs (not only Chinese songs), come with lyrics! If you use these applications outside of China, you’ll see that QQ Music is very limited (due to copyright issues). However Kugou works both in China and outside of it, although you’ll have to download it directly from its webpage. I hope that these recommendations help to make your trip more comfortable. As the virtual world is constantly changing and improving, don’t hesitate to leave a comment about your experience or any new and useful suggestion that you have. It will be greatly helpful in keeping us up to date! Andrea got interested in China by chance and now has already been studying Chinese language and culture for more than six years. She loves art, cooking and traveling. Currently she lives in Shanghai, searching the direction of her life.